Use full sugar Red Coke. The diet stuff doesn’t have the necessary sugar to reduce down to a yummy sticky gooey sauce. I like to use wings but any cut of chicken will do. The long slow cooking is the secret to great chicken. Preheat oven to 140°C fan forced. Combine cola, sugar, garlic, onion and soy in a bowl. 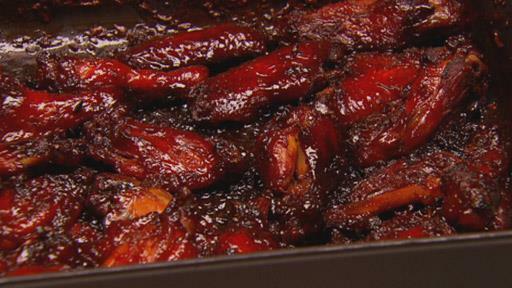 Arrange chicken wings in a single layer in a deep oven tray and pour over cola mixture. Bake for 3-3.5 hours or until sauce is thick and very sticky.